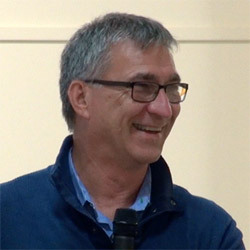 Steve Long – "Expectant Faith at Capernaum"
Steve and his wife Sandra are Senior Pastors at Toronto Airport Christian Fellowship – now Catch The Fire – in Canada. They specialize in inner healing, deliverance, and physical healing. Steve is great in seeing people healed through action steps, and is a classic Bible teacher who takes Scripture and makes it applicable to life.